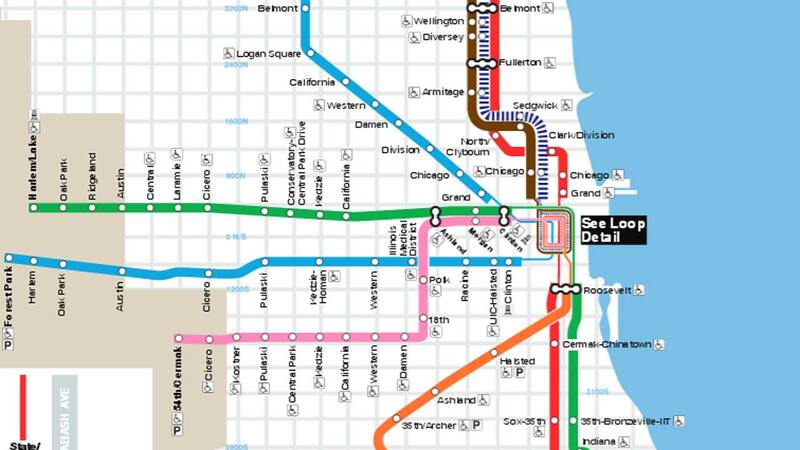 CHICAGO (WLS) -- The CTA will be providing additional train and bus service this weekend to accommodate extra commuters expected for events including the 2015 Chicago Football Classic, Great Chicago Fire Festival and Northwestern football game against Ball State. Additionally, scheduled work on the Ravenswood Connector Rehabilitation Project will necessitate rerouting Brown Line trains to the Red Line subway between Armitage and the Loop from 8 p.m. Friday to 4 a.m. Monday. The CTA will provide extra bus service on the #146 Inner Drive/Michigan Express route on Saturday, Sept. 26, for people attending the 2015 Chicago Football Classic at Soldier Field and the Great Chicago Fire Festival on Northerly Island. The extra service will begin at 12:30 p.m. and end about an hour after the events finish. The CTA will also provide extra train service on the Purple Line to accommodate attendees of the Northwestern University football game against Ball State at Ryan Field. Longer and more frequent trains will begin at about 5 p.m. and last until about 1 a.m.
CTA officials urge customers using public transportation this weekend to purchase fare in advance and allow for extra travel time due to crowds.